Time required : We expect that the role will require varying commitment, with times of low activity, and higher activing during key times during the assessment and determination process. 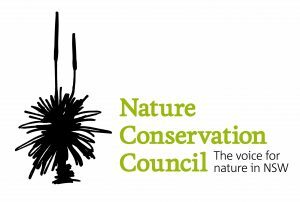 The Nature Conservation Council (NCC) is seeking a volunteer to assist the organisation engage in the Snowy Hydro 2.0 assessment and determination process to achieve the best outcomes for nature and our climate. The position is unpaid. We are looking for someone with a general understanding of nature conservation and national park management, renewable energy (specifically pumped hydro), and/or planning and approval processes. Ideally, the volunteer will be someone already engaged in the NSW environment movement with an interest, and possible experience in issues surrounding the Snowy Hydro scheme. – Answer questions from NCC member groups about the project. We expect that the role will require varying commitment, with times of low activity, and higher activing during key times during the assessment and determination process. NCC will develop an overarching policy statement outlining the organisations position on key aspects of the Snowy Hydro 2.0 project to inform the work of the volunteer. The Nature Conservation Council and the environment groups we represent have been winning protections for nature in NSW for more than 60 years. We’ve been at the centre of many of the state’s iconic conservation battles, and have notched up countless wins for nature and local communities. – General understanding of conservation and national park management, renewable energy (specifically pumped hydro), and/or planning and approval processes. – Ability to work independently with minimal oversite. To apply, please email the following documents to ncc@nature.org.au by Sunday 9 September 2018. Please quote in application: NCC Representative for Snowy Hydro 2.0 via Pro Bono Australia.